This kit is designed for 1-3 single faced intact tritium exit signs, or one (1) double faced sign + one (1) single faced sign. 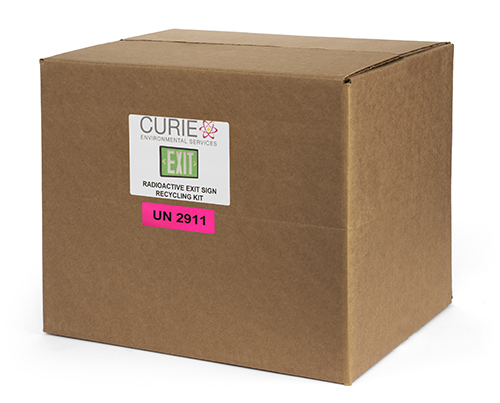 Pricing is for any location in the lower 48 United States and for individual exit signs with activity not greater than 22 Ci. This recycling service is also limited to exit signs that do not have damage to the inner tritium containing glass ampules. If individual exit signs are greater than 22 Ci or are damaged, and may be leaking, contact customer service.